Memorial Day will be here this weekend. 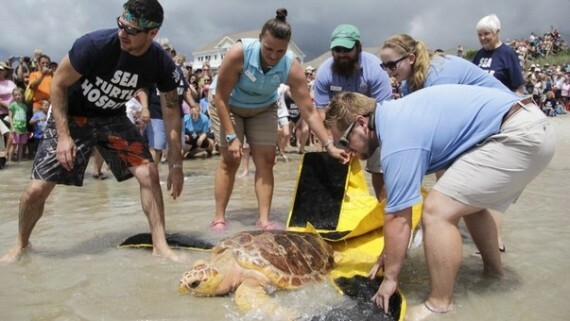 It got us thinking about sea turtles that need to be remembered. Turtles play an important role in their ecosystems. Sea turtles help control jellyfish populations. Land turtles often create habitat for other animals. Aquatic turtles help regulate the nutrient cycles in their habitats. Without turtles, our planet would not be the same. Today we will meet two extinct turtle species and learn how we can protect other turtles from the same fate. Meet Archelon. 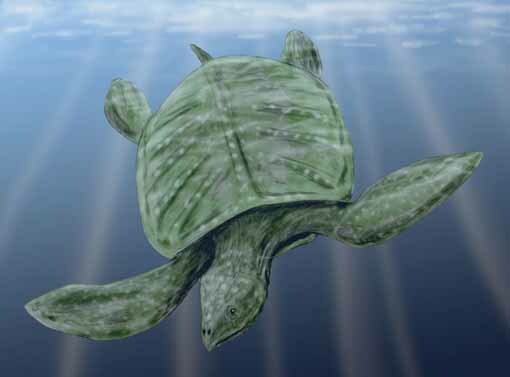 This species lived about 80 million years ago and was the world’s largest sea turtle. 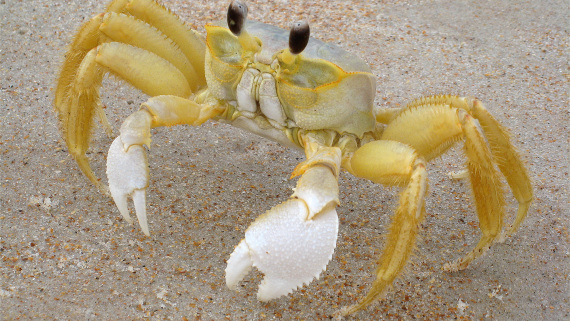 Unlike most living turtles, it did not have a solid shell. Archelon had a shell similar to the leatherback: thick leathery skin over a skeleton. Its skulls was very pointy and had a strong bite. Archelon fed on mostly animals such as squid. One fossil shown in Vienna was thought to be over 100 years old. 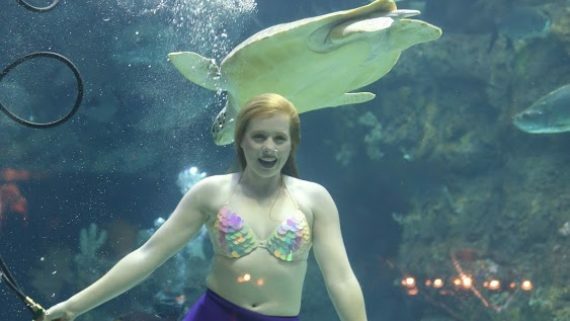 Scientists believe the animal died while bromating (similar to hibernating) on the bottom of the ocean. 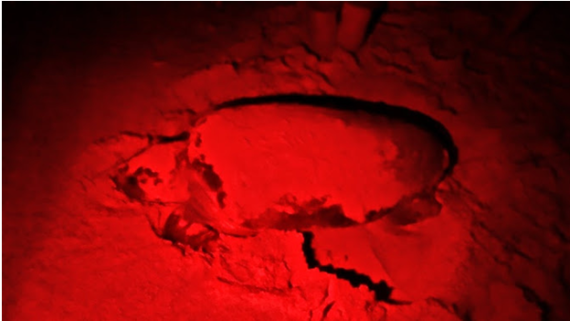 Like modern turtles, Archelon laid eggs by burying them in sandy beaches under cover of darkness. Lonesome George was one of the most famous turtles of all times. As the last of his species, the Pinta Island Tortoise, Lonesome George was used as a conservation ambassador. He lived at the Tortoise Breeding and Rearing Center in Puerto Ayora, Santa Cruz Island. The tortoises on Pinta Island disappeared because they were used by sailors as food. When Lonesome George was found in 1971, there was hope that more Pinta Island Tortoises would be found. Unfortunately, this was not the case. Extensive searches and DNA studies of tortoises in zoos and aquariums did not find any more. 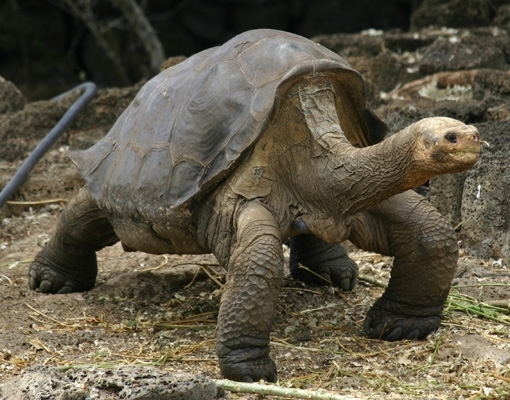 Even though he was introduced to female tortoises thought to be very similar to his species, Lonesome George died without leaving any offspring. The Galapagos Islands have begun breeding programs to help reintroduce species of tortoise to their native islands. You can learn more about the project here. Avoid keeping turtles as pets. 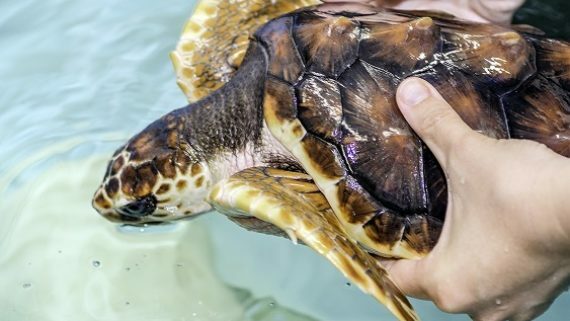 Turtles are a high maintenance animal, needing specialized care. They live 50-100 years or more, often outliving their caretakers. See information on turtles as pets here. 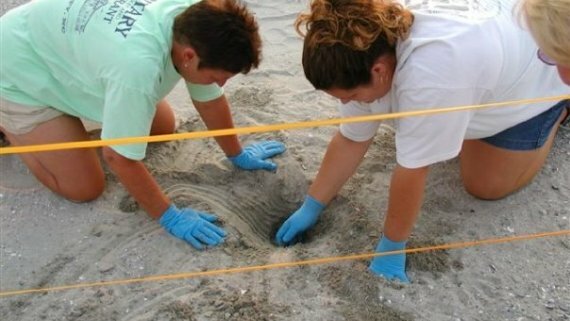 You can also create turtle friendly habitat. Certify your backyard as Wildlife Friendly Habitat to protect not just turtles, but other animals as well. 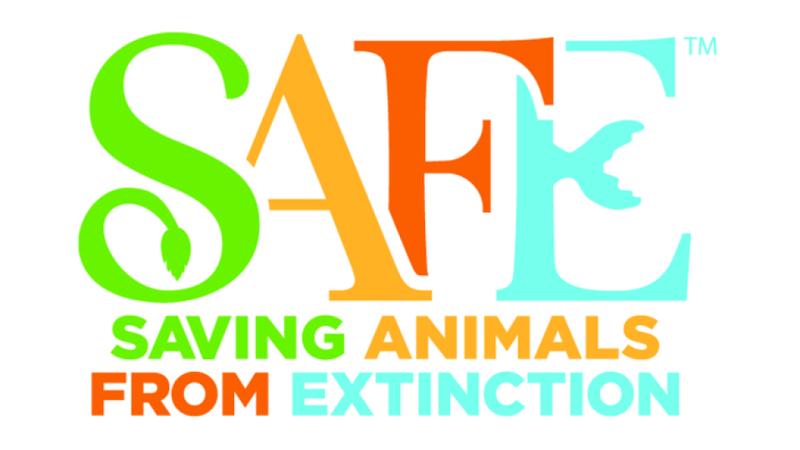 This year the Association for Zoos and Aquariums (AZA) launched SAFE: Saving Animals From Extinction (SAFE). 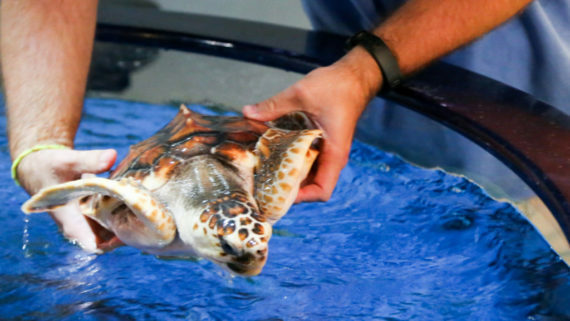 Currently, SAFE will focus on a small number of land and aquatic animals, including two groups of turtles: sea turtles and the Western pond turtle. Learn more about AZA and SAFE visit www.azasavingspecies.org and learn how you can help protect these most vulnerable species for future gereations. 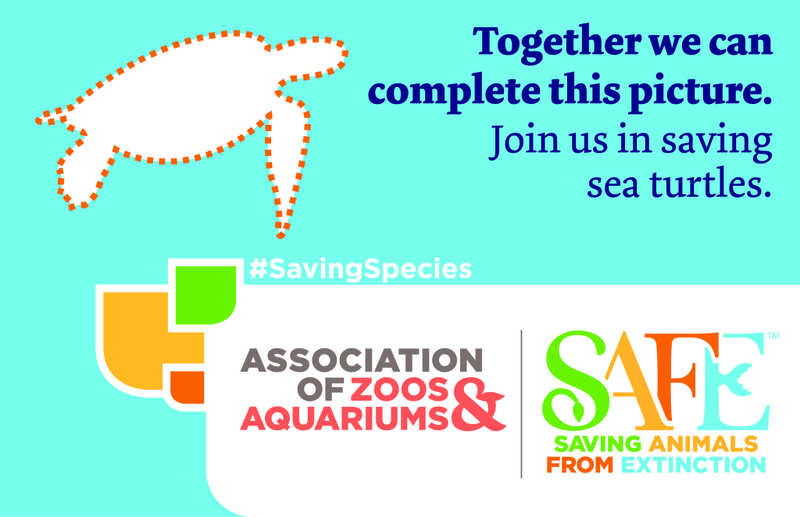 You can make your pledge to protect turtles using our lesson Sea Turtle Promises. The turtles we protect at the aquarium continue to grow. This week Turtle A is 19.0 centimeters long and weighs 973 grams. Turtle B is 19.6 centimeters long and weighs 1098 grams For more information on what to do with those numbers, please check out our lesson: Hatchling to Yearling. Thanks for joining us this week. Have a great and SAFE Memorial Weekend!